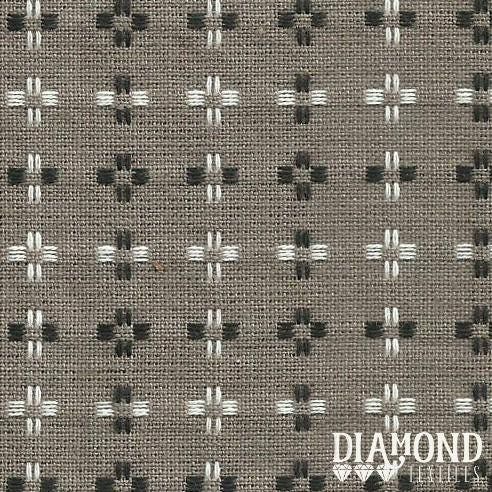 Basketweave BW-1433, woven gray, black and white, by Diamond Textiles. Lovely overstitching of black and white on a dark gray background. Perfect for quilting or crafting, use as a base for appliqué, wool work, or stitching. This fabric would compliment any stash of gray, black, and white or mix in with your civil war fabrics.